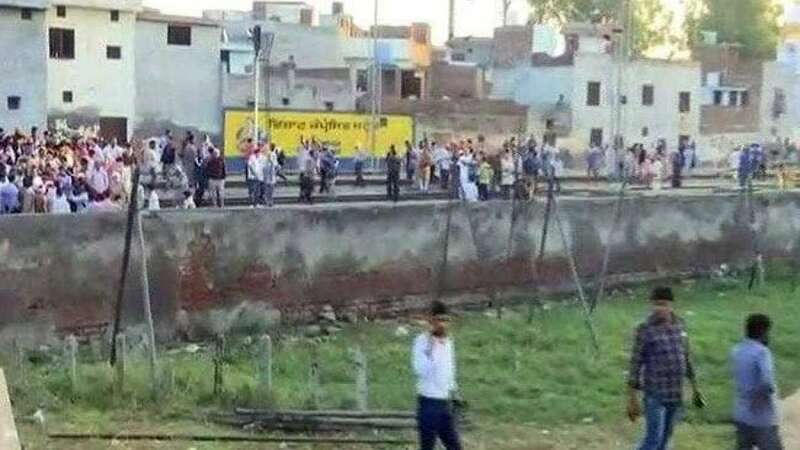 Amritsar : The Punjab and Railway Police on Saturday questioned the driver of a train that crushed at least 60 people to death here while they were watching the burning of a Ravana effigy from a railway track. Union Minister of State for Railways Manoj Sinha visited the accident spot late on Friday night. Sinha said that the incident was being probed and that the tragedy was unfortunate. Railway authorities here and in New Delhi defended themselves saying that they had not been informed about the Dusshera event at that spot and the local police did not prevent the people from coming on the live and busy railway tracks.